Jirio Helps us brainstorm with the different apps and shortcuts it features. It is an extra additive to slack and helps that I do not have to leave that platform to use a different app. I did not understand it at first, but with time I realized the benefits and how to build off from Slack with the use of Jirio. Get to know the product before throwing it away. Really helps with a business that employees 25 and up. We need to update our inventory not only at our corporate office but in the warehouse as well. We are losing product because our task level is below par. "JIRA and Slack’s unholy child"
Jirio is an amazing plugin that integrates beautifully into Slack, allowing teams to update, view, and manage JIRA tasks and tickets right from Slack. The commands can be difficult to learn, but building shortcuts reduce the learning curve. Look into building Slack-wide shortcuts for your team to use to simplify some of the commands. We needed a single pane of glass for JIRA inside of our Slack channels so folks who don’t want to log into JIRA can still view and update their tickets and tasks. This is very good feature that both Jira and slack are integration together which helps reducing time switching between 2 applications, easy to communicate with cross teams/different channels within slack. Initially when we tried Jirio we felt it was too much to remember all the commands and type in lengthy commands , Ease of using - usability of commands needs practice. 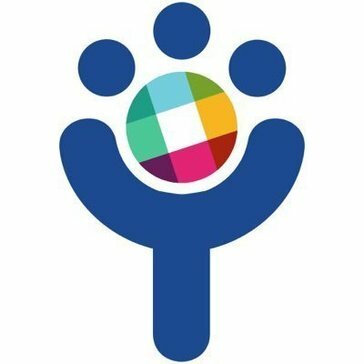 If you are actively using Slack for internal communications across different teams, give Jirio a try. It will be hard to use at the beginning but once you get used to commands/shortcuts it will be very helpful. This eliminates having conversations happening in multiple applications, integration of jira within slack very useful when discussing about issues/bugs within a channel and helps in looking at Transitioning of differnt jira status and who is working on it. I like that this app gives you some of the Jira functionality without leaving slack. I wish the command to use it was a little simpler. It can be a bit confusing at first. Give it a try, there's no harm. People are more likely to use Jira when you make it easier for them, so Jirio increases the odds of people using systems that are put in place. * We monitor all Jirio reviews to prevent fraudulent reviews and keep review quality high. We do not post reviews by company employees or direct competitors. Validated reviews require the user to submit a screenshot of the product containing their user ID, in order to verify a user is an actual user of the product. Hi there! Are you looking to implement a solution like Jirio?